Dubai Chamber of Commerce and Industry hosted a seminar today (March 25) which familiarised professionals with the practical tips on managing letters of credit as well as key benefits of using such international trade documentary credit. The seminar, entitled “Documentary Credits Operations, Legal and Technical”, was attended by international sales professionals, shipping and logistics managers, trade finance bankers, legal advisors for international business, and business development executives involved in export and import business. Presentations, led by Vincent O’Brien, international trade finance practitioner and Executive Committee Member of the ICC Banking Commission and director of the Institute of International Banking Law and Practice (IIBlP), Washington, USA, discussed the latest developments in international trade, financing issues and major legal, technical and operational issues to facilitate safe international trade, tips on negotiating terms and conditions, as well as the benefits of using documentary letters of credit and standby letters of credit. 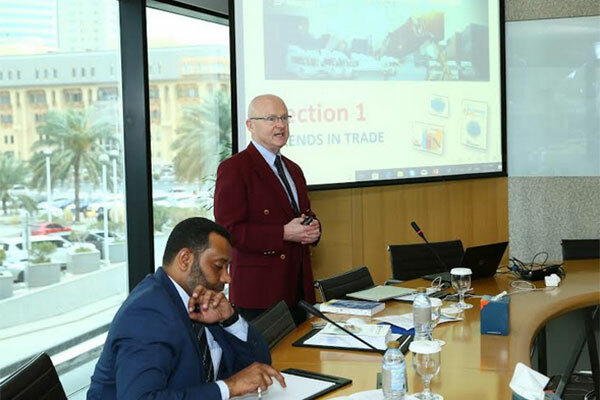 During the workshop, O’Brien briefed participants on the most effective steps of agreeing the terms and conditions of international trade documentary credit, and highlighted international standards, guidelines and case studies related to managing letters of credit. “Today, international traders are experiencing unprecedented challenges. We have increased trade tensions, trade barriers, increasing sanctions and disputes. All of these challenges have technical and legal implications for the parties involved,” said O’Brien. He noted that the seminar aimed to offer valuable insights, practical tips and case studies to enhance their awareness of key processes related to managing letters of credit, adding that participants were also informed about key challenges and methods that can be used to manage and minimise associated risks.